To start off the weekend, I have an amazing brunch recipe and even better collaboration to introduce. I teamed up with Quebec's very own Boulangerie St-Méthode to bring you a delicious breakfast incorporating their healthy, homestyle bread I've been eating for the last two years. This brand has been one of the main reasons I succeeded in cutting a lot of excess carbs from my healthy lifestyle. I enjoy St-Méthode bread in small quantities every week and am comforted by how many nutrients they provide. They offer a range of health breads but my 2 favorite are the multi-cereal bread for high fibre, low sodium and the 9-whole grain bread with no sugar added, lots of fibre and a great amount of protein. 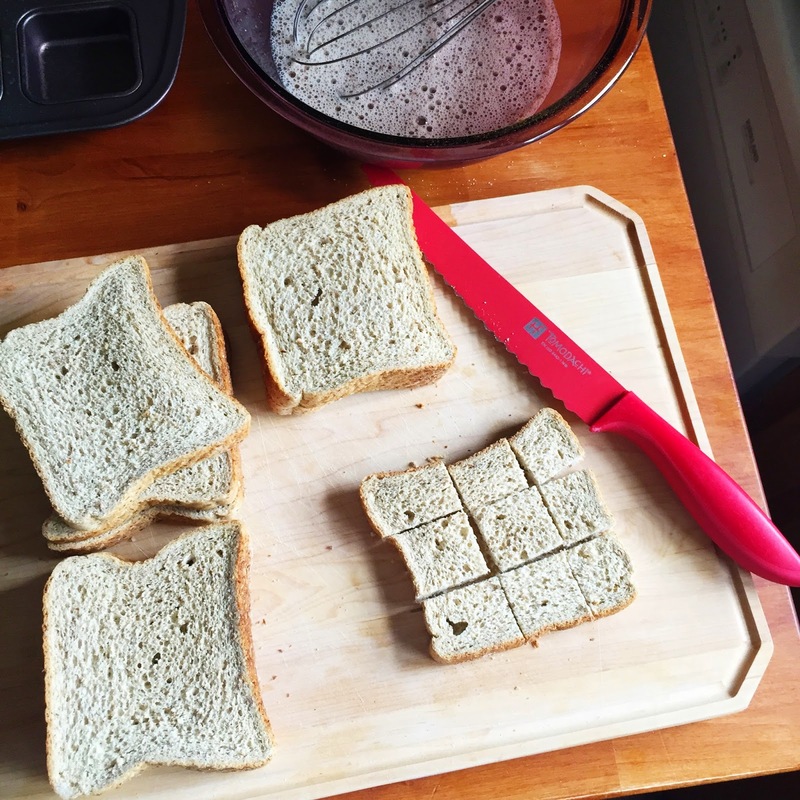 This time, I chose to use the Stone Ground 12-grain Club Bread as it provided thicker slices which I felt were perfect for french toast. Before I share the recipe you should note that it is essential that you freeze your loaf of bread overnight before making this in the morning! A easy spin on the classic baked french toast. Take your St-Méthode bread out a freezer to thaw out and preheat your oven to 350F Conventional. Whisk together eggs, egg whites, milk, brown sugar, vanilla and cinnamon in a large bowl. Cut your frozen pieces of bread into 9 even squares each. Add bread pieces to the egg mixture and coat completely while the bread is still frozen enough to stay together. Add in half the maples flakes and toss again. Let this sit for about 5 mins while you take out your large muffin tin and completely coat in cooking spray. 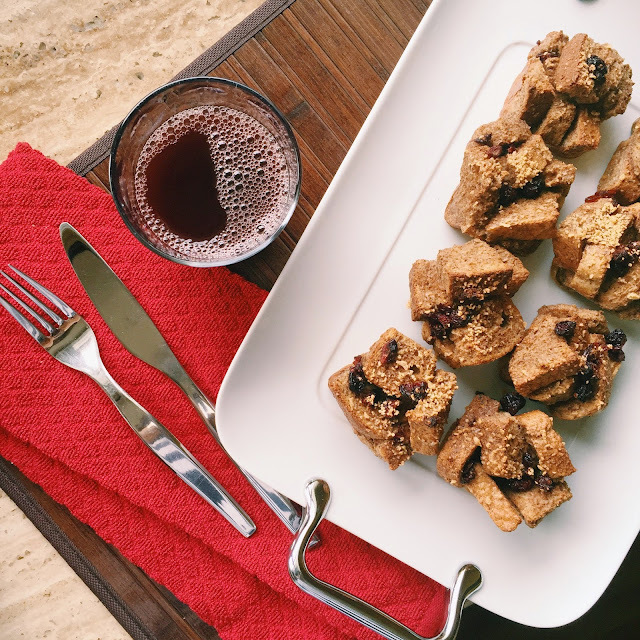 Add about 5-6 pieces of bread to eat muffin slot (depending on the size of the tray) and top with cranberries and the remaining maple flakes. Can also add extra cinnamon. Bake in the oven for 20 mins or until the bread seems crispy and golden. Let cool for a couple of minutes then add to a serving dish with some light syrup and enjoy! Note: I forgot to top my muffins with chopped walnuts I had ready but will definitely be adding them in next time! 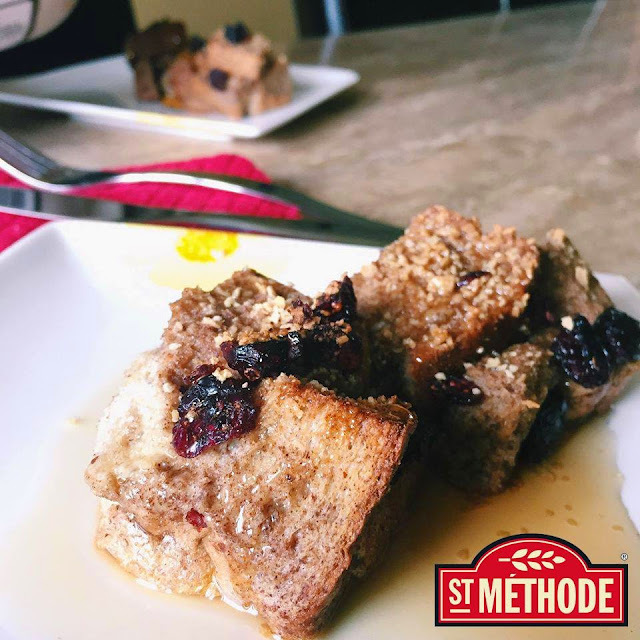 Hope you liked this recipe and a big thank you to St-Méthode for this great collaboration!